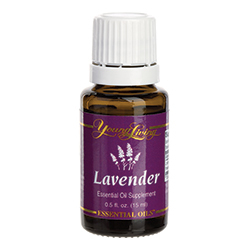 Rub a few drops of lavender oil into your scalp to help relieve and eliminate dandruff. It is believed that dandruff is caused by fungal infections, pityriasis capitis and malassezia globosa. The fungi live on your scalp and feed on the skin oils creating a by-product called oleic acid. This acid penetrates the skin on your scalp and triggers skin cell shedding (aka. dandruff). One of the best ways to solve yeast and fungus issues is to cut down on sugars and processed grains. It’s also important to eat good fats such as omega-3 to help reduce inflammation. Other oils you can use are oregano oil and tea tree oil. These oils are naturally antiviral, antibacterial and anti-fungal and can help reduce inflammation and infection without harming your health or the environment (when you wash them down the drain in the shower). I also find that washing my hair just before it gets to that oily stage also helps. That day makes all the difference in keeping it under control. If that oily, itchy feeling starts go for a few drops of lavender and massage it in, and be sure to wash your hair with a non-toxic, mild shampoo (more on shampoos later). Next postWhat’s in Our Water?